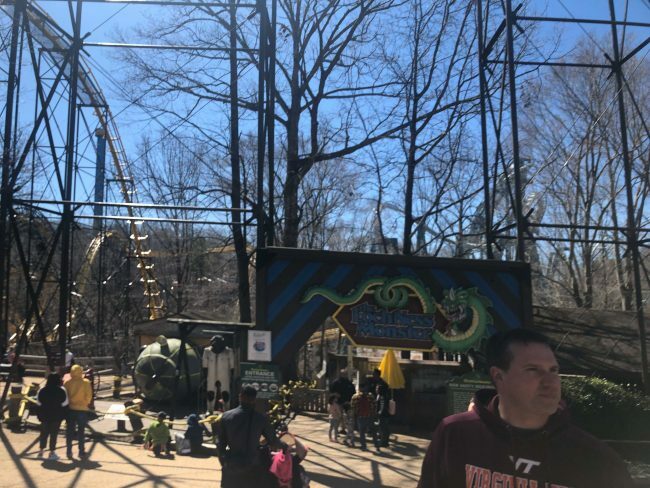 For my wife it was her first time experiencing BGW, and she was beyond excited. 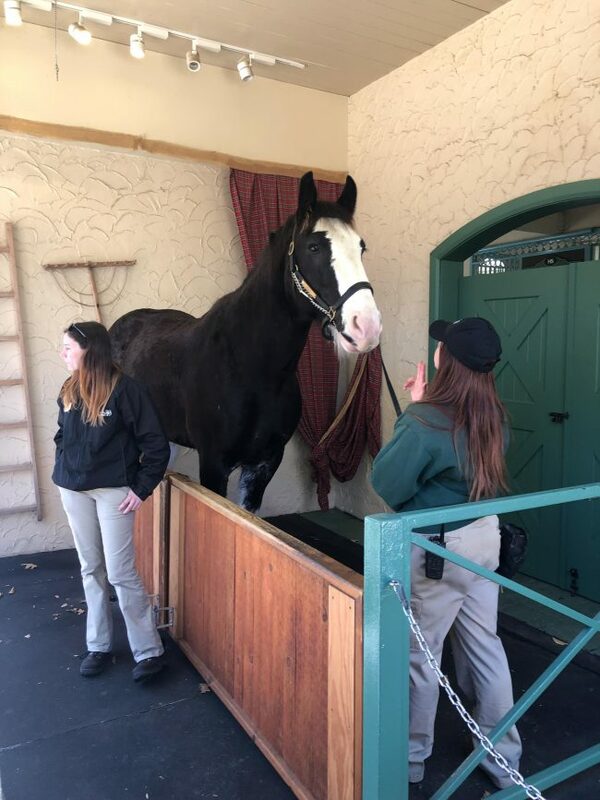 As you walk in to Busch Gardens you are greeted with a not so small friend but a huge heart. “Bill” Unlike Busch Gardens Tampa with lions, tigers, and safari animals here they have horses, wolves, bald eagles, and some other local animals. After Seeing Bill, it was time to ride the first coaster of the day. I chose the Loch ness monster because my wife loved the interlocking loops. 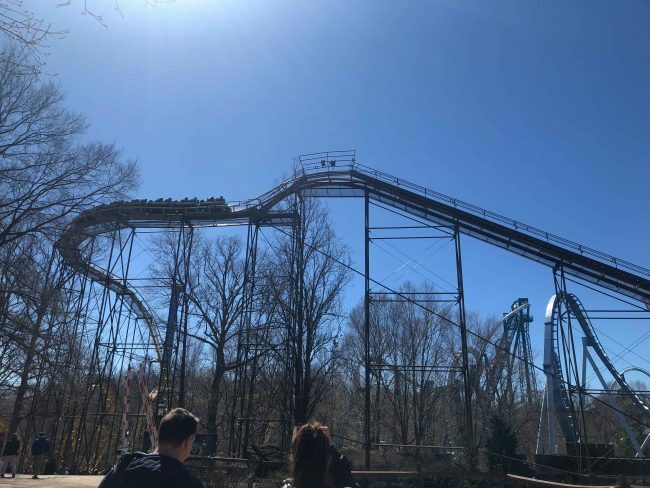 Since I was only here for one day, and had to get to carowinds I wanted to get as much done as possible so it was off to the next ride! I love the ski’s on the back of the cars. Next up I was really excited to ride Tempesto! 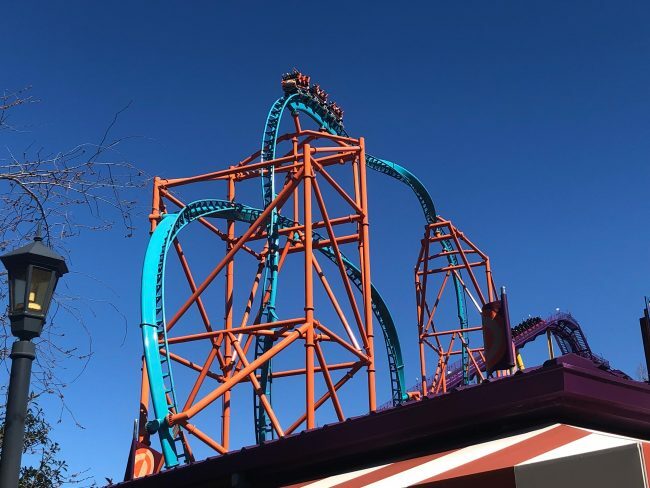 With Tigris opening April 19th to the public I now know what to expect, but I can’t wait to see the station theming and the Tampa scenery at the top! Below you can see a front row POV! Who else wants to ride??? Up next on my agenda was Apollos Chariot since they are so close! I was surprised Apollo’s chariot was partially painted, and it looks fantastic but it was only to a certain point. I wonder if they will finish it throughout the season? Below you can see a front row POV, Enjoy! After marathoning apollos chariot (because how can you not!) we made our way over to griffon. I love dive coasters so this was one of my favorite rides of the day! 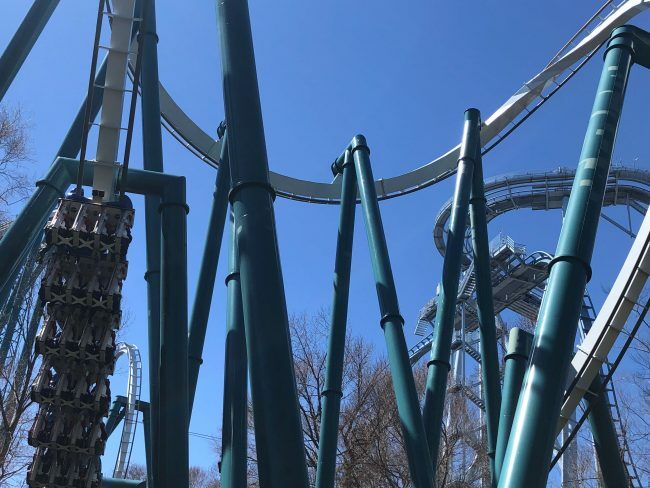 Below you can see a front row POV of the Griffon at Busch Gardens Williamsburg. Don’t Forget to Say AHH! and you know I had to save the best for last… Verbolten. This amazing double launch coaster features a drop track, can you survive the forest? Watch below and find out! 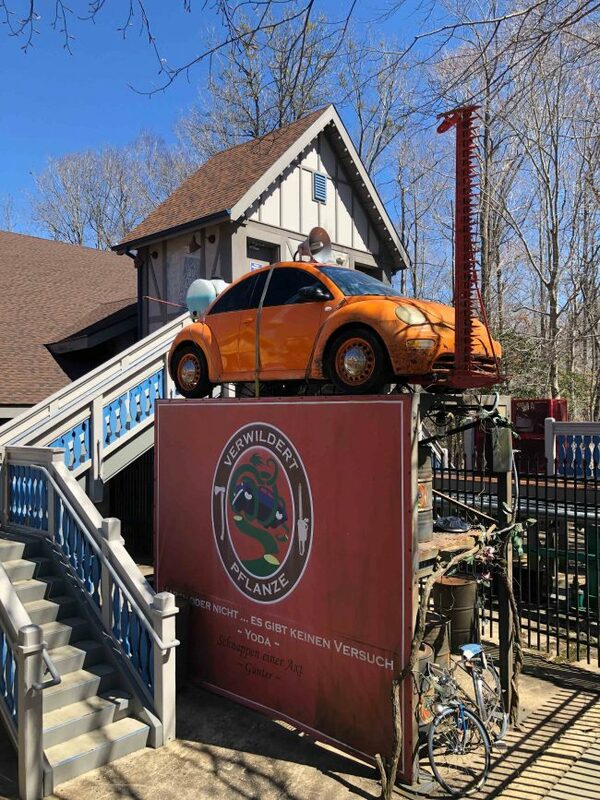 Some parts I loved about verbolten was the theming, the drop track and the license plates on the cars. By the time we got all of the rides done it was time to get on the road straight to carowinds. Next time I hope to spend more time to look at all the things they have to do, but for my wife’s first time she had a blast. Thanks for Reading! Stay Tuned for more Theme Park News and Information!